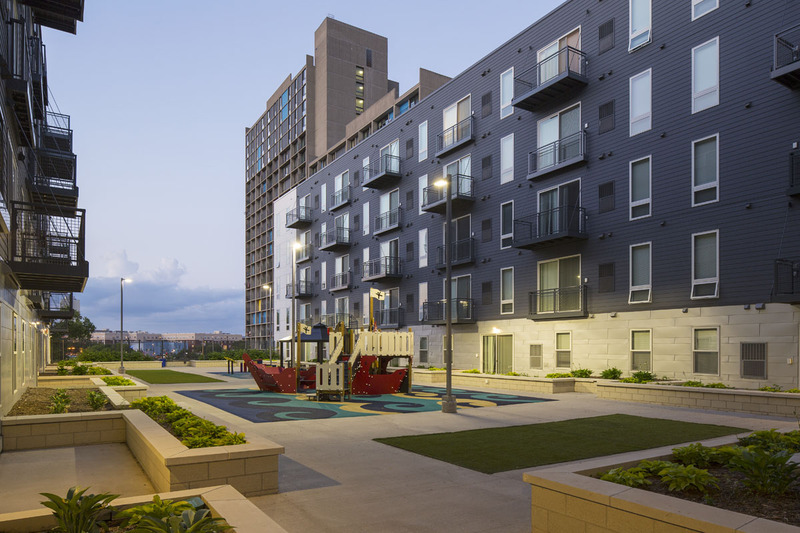 Five15 is more than an architecturally elegant building with breathtaking views: it is a transit-connected residential community focused on service and quality. Five15 has been designed for your convenience, comfort and safety. The mechanical and electronic systems are state-of-the-art. The electronically controlled elevators are fast and quiet. All entry points have computerized identification of the persons entering the building, and are under continuous video surveillance. A state-of-the art video system allows you to screen visitors on your television or cell phone before admitting them into the building. 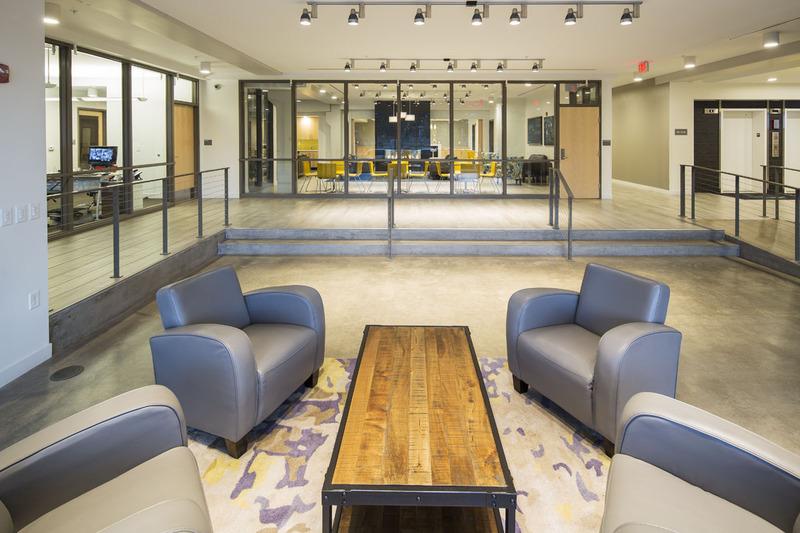 Electronically controlled keyless access to the heated parking garage and the common areas, and video monitoring of the common areas all contribute to the comfort and safety of your home. 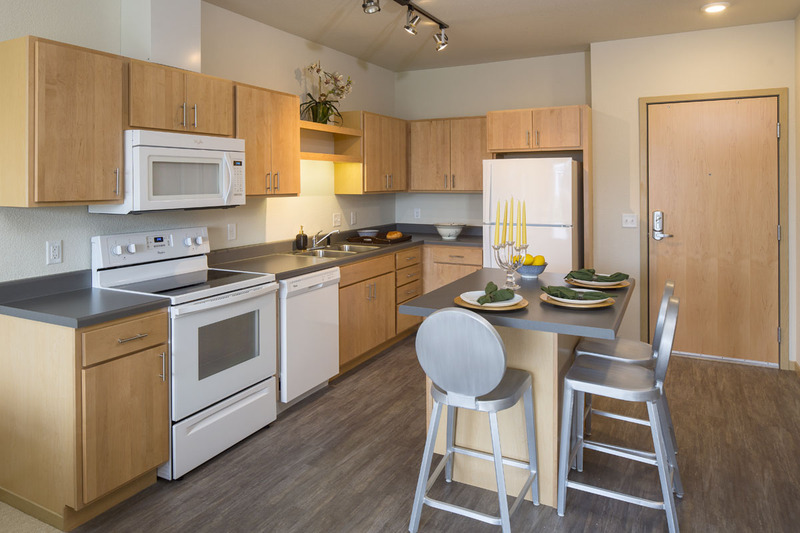 A wide selection of floor plans assures that you will find a home that satisfies your needs: from compact, carefree studios to urban "townhouses" with their own private entry from the street, and one-, two- and three-bedroom units. If you prefer the feeling of living in a garden, you can choose an apartment home that opens, through its own private patio, into the green spaces of the first floor landscaped plaza. The underground garage offers assigned parking stalls for cars and bicycles. The design and quality of the building and of the finishes are first-class: Five 15 offers features you would expect in a luxury home, including floor-to-ceiling windows, maple cabinets and spacious gourmet kitchens. Almost every bedroom has a bathroom, and most units have walk-in closets. Most units have a spacious balcony or a private patio at ground level or on the second floor landscaped terrace. 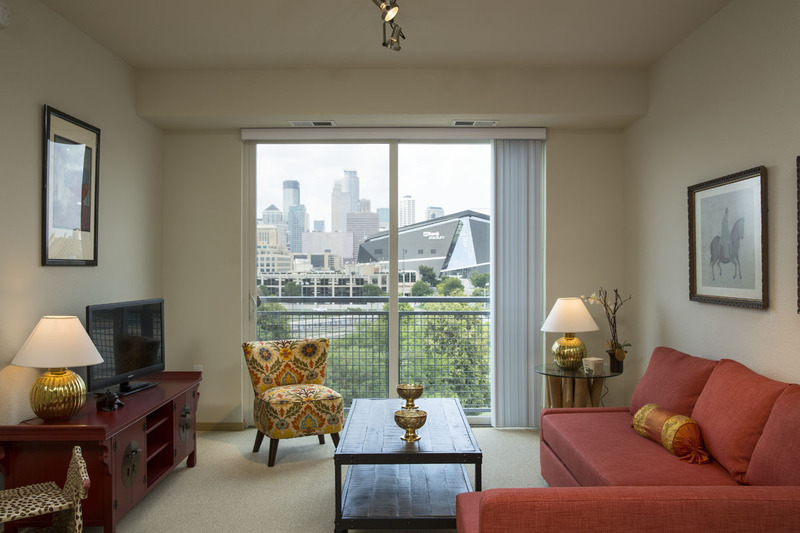 Most units have extraordinary views of the Minneapolis skyline: the floor-to-ceiling windows and the spacious balconies will allow you to enjoy a sunrise or a sunset on a city skyline, from the comfort of your home.